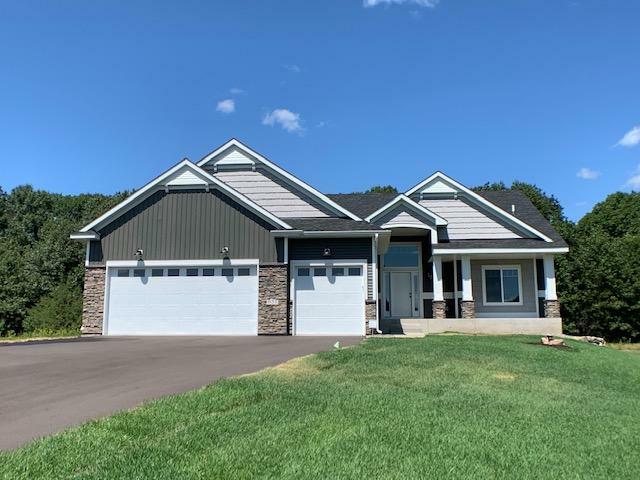 Welcome to our stunning new rambler plan The "Winslow II" model home in this gorgeous acreage development of Whitetail Crossing 2nd Addition. Spacious one level living w/11 Ft. high foyer ceiling, living rm w/gas fireplace, custom kitchen w/granite counter-tops, center island, walk-in pantry, laundry area & mud room, owners suite w/full owners BA, large walk-in closet, large 2nd & 3rd BR's (3rd BR also set up as flex room), full main BA, 12 x 12 screened in porch with views of beautiful backyard! Directions - University Avenue NE to 154th Avenue NE, east to Jefferson St. NE. Note: 154th Avenue NE turns into Jefferson St., and Jefferson St. turns in to 152nd Lane NE, east to home on left.